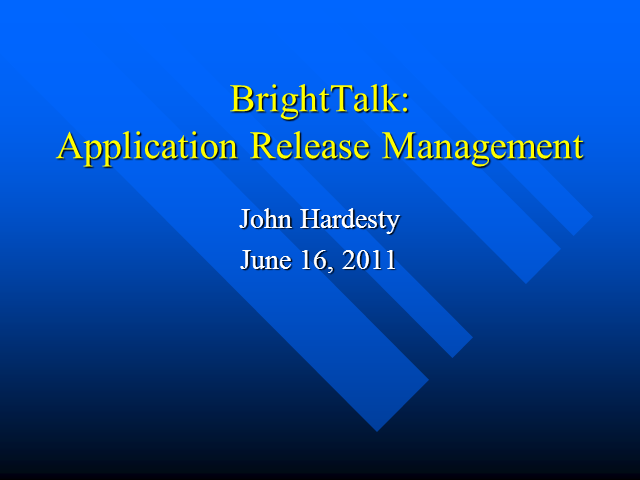 Discover the world of release management with John Hardesty. John will highlight some key issues in the context of new application environments. John will look holistically at all IT areas that need to be addressed within the application change and release management process.